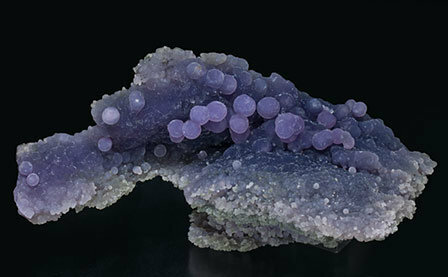 Floater aggregate with very aerial spheroidal forms that are translucent with a very deep uniform lilac color. 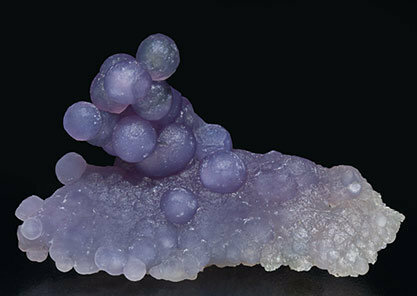 We note, aside from the color, the elegance of the sample, uncommon for chalcedony. 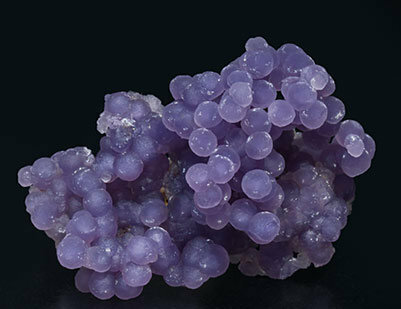 Aggregate, on matrix, with very aerial spheroidal forms that are translucent and have a very intense and uniform lilac color. We note, aside from the color, the fineness and the elegance of the simple, uncommon for the chalcedony. 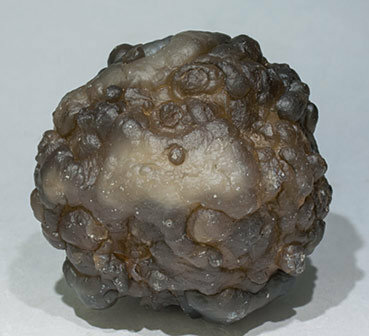 A floater nodule with blackish spheroidal forms and whitish areas with some visible crystalline forms. The sample, a silicified fossil sponge, mainly retains the original morphology of this biological specimen. 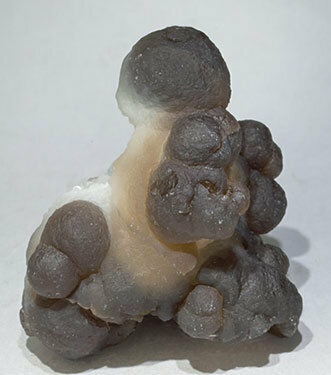 A floater nodule with blackish spheroidal forms and whitish areas with some visible crystalline forms. The nodule is a result of sponge silica fossilization.